In a previous article, I discussed each of the steps involved in organizing a successful eLearning project kickoff meeting. In this article I'll offer you a variety of tips that can help to boost the effectiveness of your first project meeting, so that you can get the eLearning course design process off to an amazing start. Even before you step into the eLearning project kickoff meeting, each of your team members should have a clear understanding of what role they are going to play and what responsibilities they will be expected to fulfill. By providing these clear definitions and expectations for your entire eLearning team, you can avoid confusions and conflicts later on. Be as detailed as possible, and clarify roles and responsibilities again when you are conducting the first meeting. This will also help every member to learn more about what their colleagues will be doing, so that they have a firm grasp of what falls under their purview and what tasks or responsibilities are allocated to the other members of the eLearning team. Leave room in your meeting schedule for questions and answers. Your team members are bound to have some questions and concerns that need to be addressed. So, you'll want to leave ample room in your meeting agenda for Q&A time. This time can also be reserved for active discussions between the team, especially if there are going to be tasks that require group participation. Make sure that the members of the team feel comfortable voicing their concerns, and let them know that they can feel free to come to you after the meeting if they would prefer to speak in private. Make each member feel like part of the team. Team members should feel as though they are a welcomed part of the group, and that they have something unique to add to the eLearning project. This means that you should ensure they have all been introduced to one another and that they are all aware of the project's specifications and goals. Ideally, they shouldn't get the impression that they are just an asset, but an active participant of a group that is going to design an amazing, high quality eLearning course. Get them excited about the eLearning project and let them know that they are an integral part of the process, if you want to boost collaboration within your eLearning team. Give a clear definition of “success” based upon project's expectations. The simple truth is that “success” means different things for different eLearning professionals. As such, you will want to specify what “success” means to you in regards to the eLearning project's goals and objectives. What do you hope to achieve by creating the eLearning course? What learning activities must be included, and what methods/techniques/principles are you going to use to develop the most engaging and effective eLearning experience possible? During the eLearning project kickoff meeting you'll want to talk about the specific goals and desired outcomes of the eLearning project, as well as how success will be measured by both yourself (the project manager) and the client. Have a timeline created for each team member. Discussing timelines during your eLearning project kickoff meeting is vital, because team members will need to know exactly how much time they have to develop each task or aspect of the eLearning project. You will want to develop milestones or assignment deadlines along the way, so that your team is aware of when their part of the eLearning course needs to be completed. It's like piecing together a puzzle, with each task or component of the eLearning course fitting together in such a way that boosts productivity and efficiency. It might be best to arrange for periodic check-ins or meetings for every member of your team. If face-to-face meetings are not possible, there are several free web conferencing tools that give you the ability to chat one-on-one with your team members and work with them remotely in order to design and develop your eLearning project and talk about how the project is progressing. Give them a support system. Be sure to remind your team that you and the other members of your team are there to help, if the need arises. Your team is more than just a group of working professionals; it's in fact a support system for every individual member. In order for the eLearning project to be a success, there needs to be open communication and the willingness to help whenever possible. If they need help, encourage them to ask for it and make them aware of the fact that they can email, call, or instant message you whenever they have a question or concern that needs to be addressed. Make it fun and engaging! Above all else, your meeting should be lighthearted, fun, and motivational. While you should discuss the important points of the eLearning project, the meeting shouldn't leave your team feeling drained or overwhelmed. Encourage them to participate and keep the discussion flowing by sticking to your agenda, but also feel free to drift off into tangents if the mood starts to feel a bit too drab or dull. Inspire them to do their very best by getting them excited about your ideas and concepts, so that they are more likely to give it 110%. 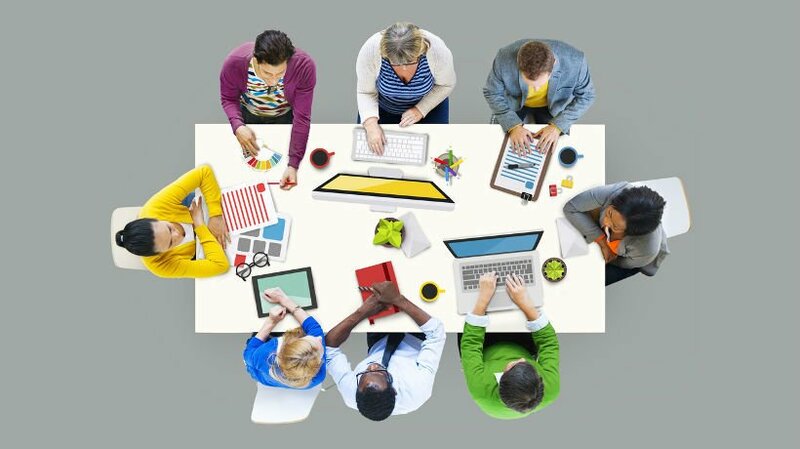 Use these eLearning project kickoff meeting tips to get the most out of your first team gathering. Regardless of your team dynamic or the nature of your eLearning course, following these bits of advice will help you to create an organized and streamlined eLearning design and development strategy. Wondering how to run an eLearning focus group? Read the article 5 Tips For Running A Successful eLearning Focus Group where I share some tips for how to successfully conduct an eLearning focus group that can give you the insight you need. Last but not least, for your eLearning project to be successful it is essential that you stay focused on-task, stick to the deadlines, and share valuable documentation and information with your team members. Read the article Top 10 Free BaseCamp Alternatives to learn more about the free project management tools that are available today and can help you to stay on track by creating a virtual base of your operations.